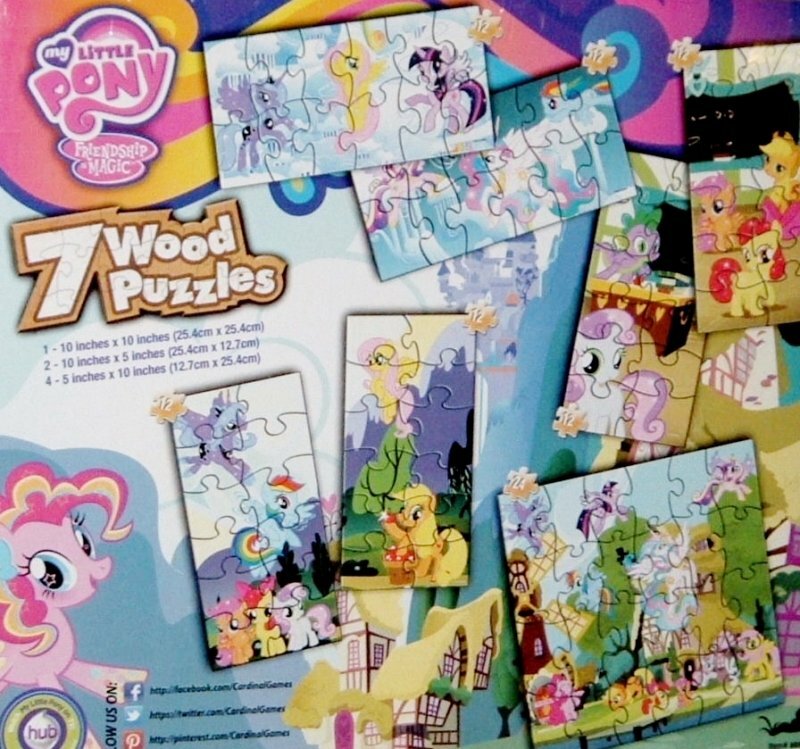 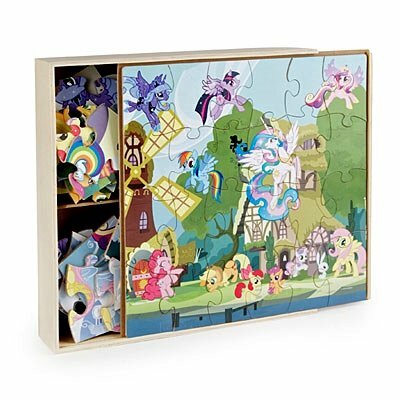 My Little Pony wooden puzzles with nice storage box comes with total of seven puzzles. 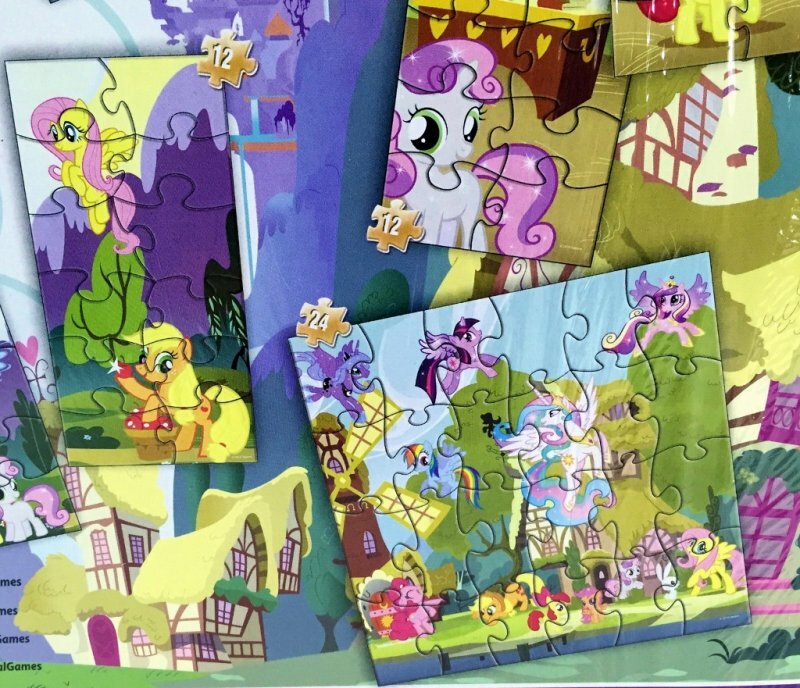 Each is a different scene. 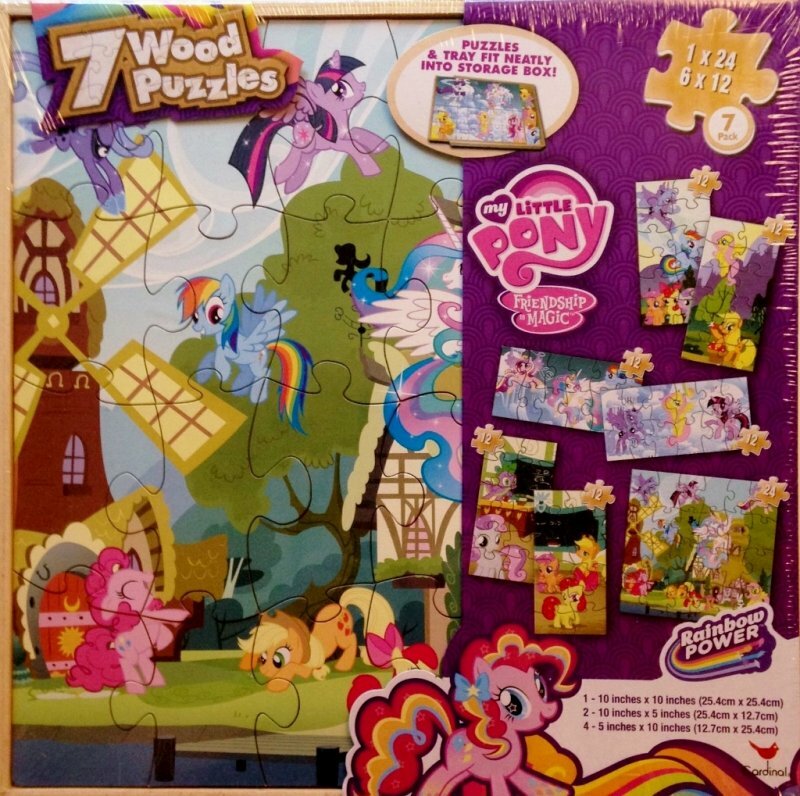 May pose as a choking hazard for infants.